April has been so rainy and lush. We are sad to say goodbye but are looking forward to May flowers and lots of sunshine. Today we are bringing you a fun DIY project using a little “living sunshine” aka wheat grass. 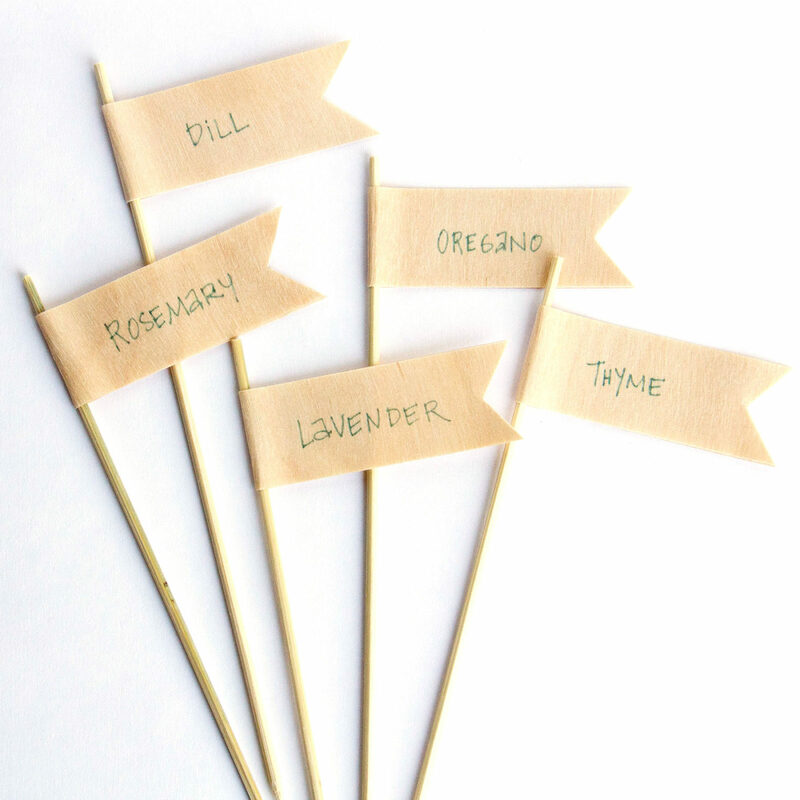 Plant markers are a fun way to label and dress up your plants and herbs. We grow wheat grass and other herbs in pots on our kitchen windowsill. The wheat grass, while decorative, is also healthy. 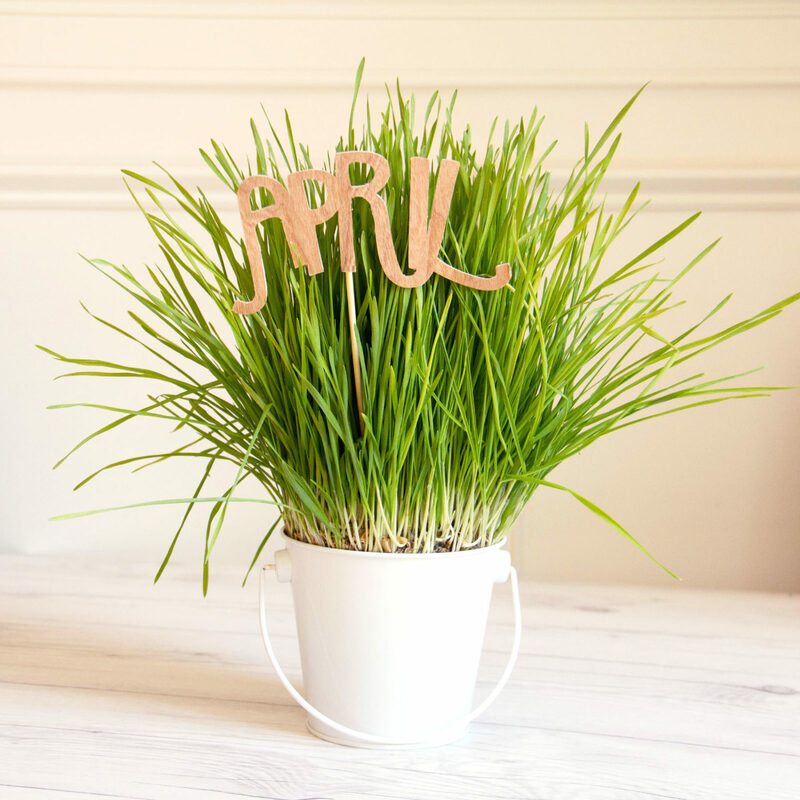 We created this simple plant marker using Real Cherry Wood paper to decorate the wheat grass. 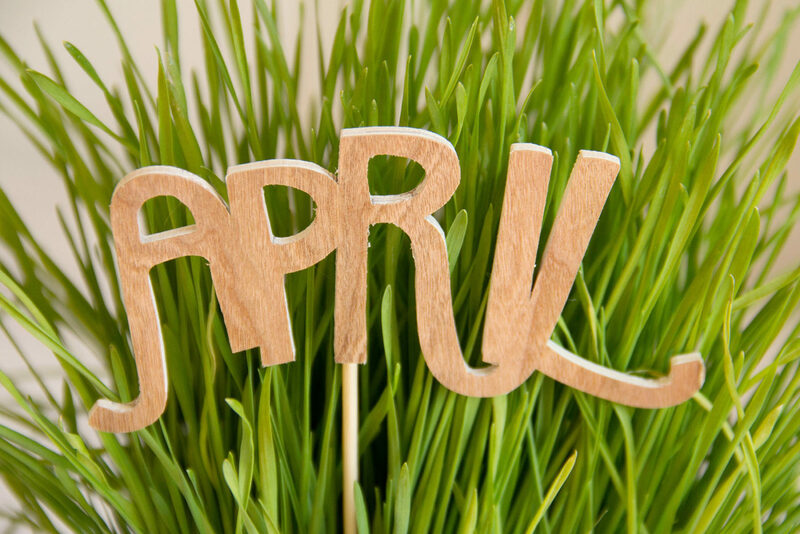 We will make a plant marker for each month of the year. We have become increasingly interested in the benefits of wheat grass. Here is a great article from Chalkboard magazine on 50 reasons to eat wheat grass every day. Wheat grass is also super easy to grow. Here are some tips on successful growing here. Supplies: Real Cherry Wood Paper, April Word embellishment (Studio Calico), plant dowel, hot glue and emery board. 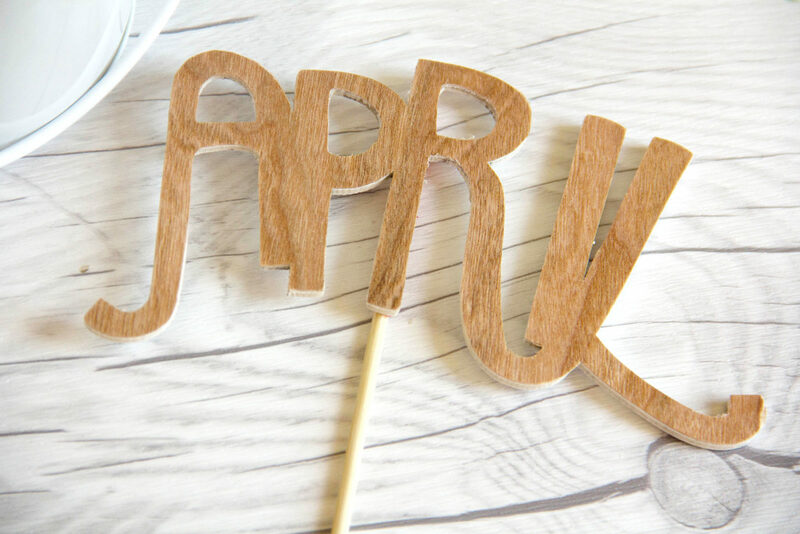 Cover the APRIL word embellishment from using our Real Cherry Wood paper. Cut around the APRIL word shape as close as you can to the embellishment. Sand any rough edges around the APRIL embellishments with an emery board. 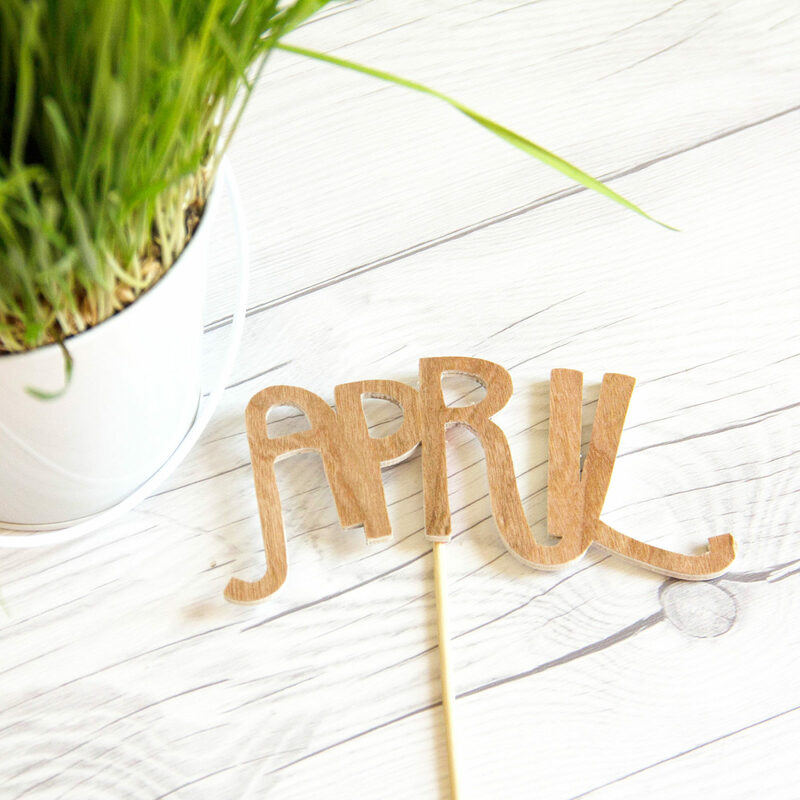 Hot glue the APRIL word to a small wooden plant dowel. Here’s another tip! 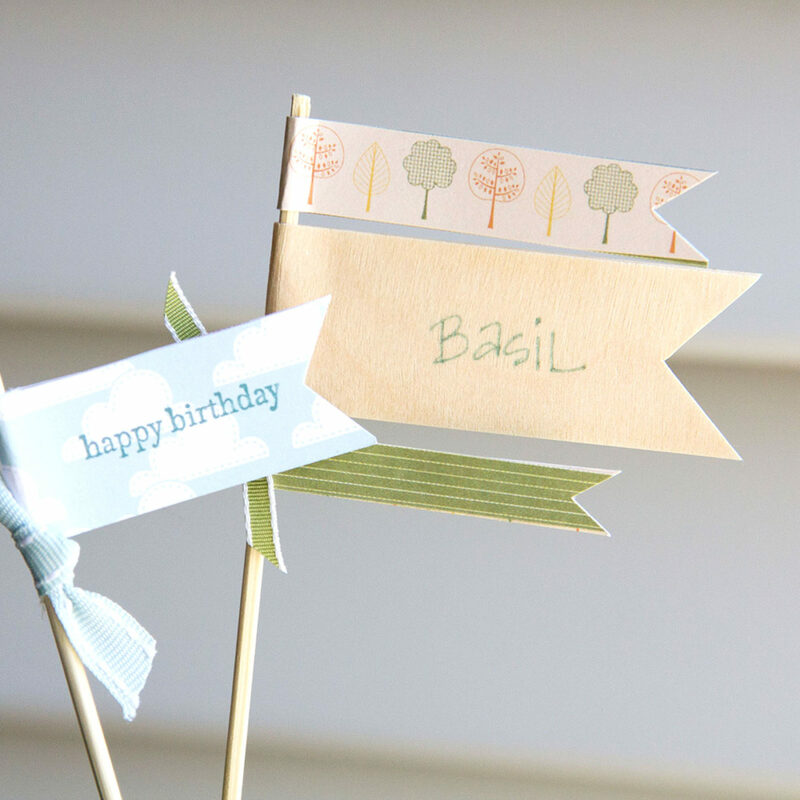 Create simple herb plant markers using our Real Wood tapes in Birch or Cherry. 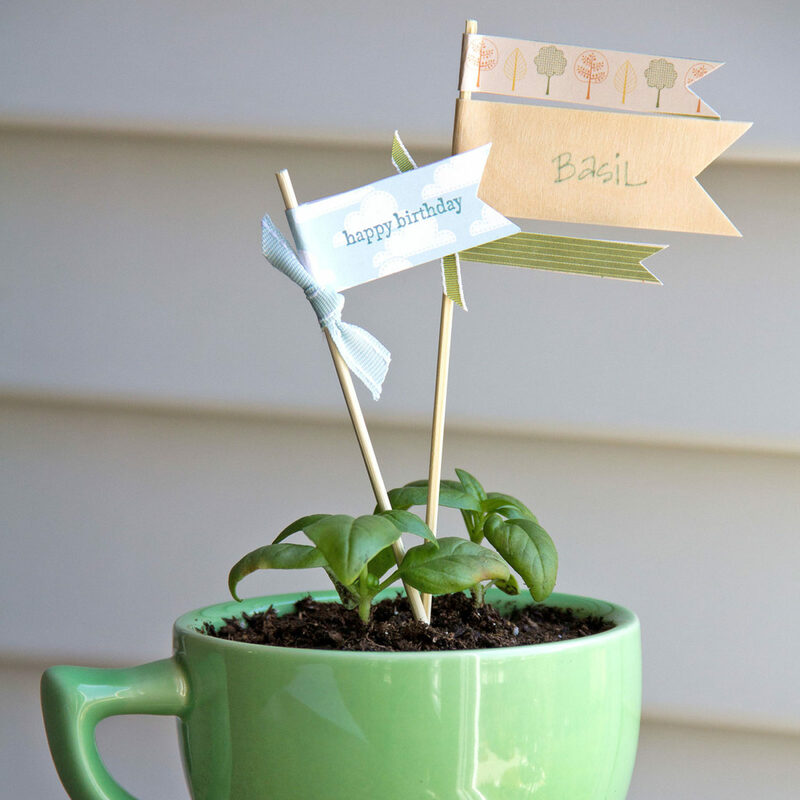 Wrap the tape around a wooden plant dowel. Trim and write directly onto the wood using a sharpie. While you’re at it, check out this awesome Wheatgrass smoothie recipe from www.easyhealthysmoothie.com. Yum!!! This entry was posted in DIY Projects, Home Decor and tagged April, birch wood tape, plant markers, real cherry wood paper, wheat grass.